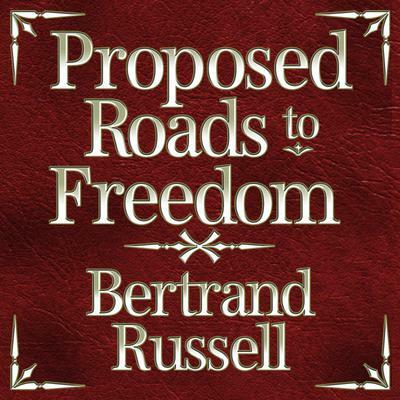 A concise version of Bertrand Russell's political philosophy and thoughts, focusing on his favoring of guild socialism. While Russell believed that pure Anarchism should be the ultimate goal, his realism lead him to favor the guild socialism which he expands upon in this volume. Russell first discusses the various aspects of socialism, anarchism, and syndicalism, focusing also on the major men/movements associated with each school - Marx and socialism, Bakunin and anarchy, and CGT (Confederation Generale du Travail) and syndicalism. He then lays out problems that will exist for the future if these philosophies are adhered to and focuses on various areas - including international relations and science/art. Bertrand Russell (1872-1970) was a British philosopher considered to be one of the founders of analytic philosophy. He was considered a liberal, a socialist, and a pacifist, as well as a historian, logician, mathematician, and social critic. He was awarded the Nobel Prize in Literature in 1950 and wrote several volumes on his views.